The Supreme Court-appointed Environment Pollution Control Authority has urged Delhiites to use public transport for the first 10 days of November when the air quality of the national capital is likely to further deteriorate. Delhi: Delhi hospitals are seeing a rise in footfall of patients suffering from respiratory and breathing complications due to pollution, with doctors advising them, especially the elderly, to stay indoors as much as possible. The overall air quality index of Delhi was recorded Wednesday at 366 by the Central Pollution Control Board (CPCB). He said he has advised parents to keep their children indoor as much as possible until the air quality improves. “I am in fact writing it on prescriptions now — ‘please don’t move outdoor’, and I feel bad, as children need to go out and play, but the air isn’t just god for them. “So, I have asked the parents to ensure children don’t go out in the morning and evening and wear masks on way to school,” Sachdeva told PTI. A day after recording “severe” pollution, Delhi’s air quality improved slightly to “very poor” category Wednesday after wind speed picked up and dispersed pollutants even though the stubble fire count increased. On Wednesday, PM2.5 was recorded at 215. Fine particulates can be a matter of more serious health concern than PM10. The PM10 level (particles in the air with a diameter of less than 10 micrometres) in Delhi stood at 370, according to the CPCB data. Sachdeva said patients are coming to him complaining of allergy, breathing complications, chest congestion, and worse cases of breathlessness, from both persons who have a history of such ailments to fresh cases. Vivek Nangia, pulmonologist and head, Lung Center at Fortis hospital in Vasant Kunj, said his OPD is also seeing a “sudden increase” in footfall in the last few weeks, about 15-20 per cent. “We are recommending that a person’s mobility out of home should be restricted as much as possible. People should not use their own vehicles, but take public transport, more so metro services, as they are mostly underground,” he said. The Fortis doctor also advised morning joggers to keep of the streets for a while as pollutant level is higher and more toxic at that time. “It is dangerous to venture out and especially for pregnant women and children, and persons with chronic heart and lung diseases or those asthmatic should be more cautious,” he said. On masks, both the doctors advised to use N91 or N95 masks to help keep particulates out. “Surgical masks do not serve any purpose, really so these specialised masks should be used. People, especially children when they move out should either wear a mask or put a wet piece of cloth over their mouth,” Nangia said. He also advised the use of air purifiers at home or at the office and other indoor public places can help curb the ill-effects of pollution and added having plants indoor can also help in doing that. Doctors at AIIMS, RML Hospital and Safdarjung Hospital also said they were getting such cases. Rajesh Chawla, Senior Consultant (Critical care, Pulmonary and Sleep disorders), Indraprastha Apollo Hospitals here, said the numbers of patients have “definitely increased in the last week or so, almost 1.5 times”. “Many asthmatic patients, particularly the COPD (Chronic Obstructive Pulmonary Disease) patients, are coming in with acute attacks, or some other problems such as acute breathlessness. This is being witnessed in all age groups,” he said. “Children shouldn’t go outside to exercise or play. Right now, it is better to indulge in indoor games. People should not venture out as much as possible. “Window panes should be kept rolled up in a car, and morning and evening walks should be avoided as of now,” he said. 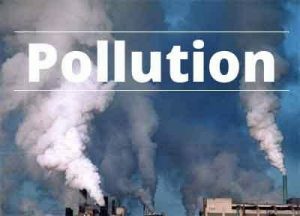 Cardiologist K K Aggarwal said several studies have demonstrated the association of poor air quality with diseases such as respiratory and heart ailments, making it a major public health concern. “Children below five years of age and adults older than 50 years are most at risk,” he said.